A 19 year old male has been seriously injured after a car plowed into a group of pedestrians in Liverpool City Center. A group of pedestrians that were crossing Slater Street in London on the morning of Christmas Eve got a shock when a car plowed through them, seriously injuring a 19-year-old in the process. The vehicle which was a white Ford Kuga did not stop at the scene and Merseyside Police are now investigating the incident. The 19-year-old man was taken to hospital with minor facial injuries whilst another 19-year-old was taken to hospital in a serious but stable condition. Merseyside police have arrested a 19-year-old man on suspicion of causing serious injury by dangerous driving, however, Merseyside Police's investigation is still ongoing. 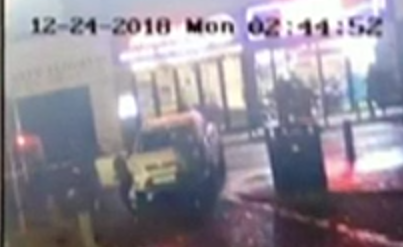 Sergeant Gerald Farley from the Merseyside Police had this to say - "We would appeal to anyone who was in the Slater Stree, Bold Street and Wood Street area to come forward if they have witnessed this incident or have witnessed a white Ford Kuga in the area at the time."